Last week we reported on how David Baazov had made a non-binding $2.7 billion bid to buy out Amaya´s shareholders and return the company to private ownership. His proposal appeared to have hit the rocks yesterday when one of Baazov´s supposed partners – KBC Aldini Capital Ltd – said it had no knowledge of supporting the bid and claimed that the company´s name had been used fraudulently. Baazov later explained in a statement that an equity commitment letter he received purporting to be from KBC Aldini Capital Ltd was delivered without the company´s knowledge or consent. Baazov said he intended to source replacement funding for the deal, and soon after it was reported that one of the other partners in the takeover bid – Goldenway Capital – was willing to step up and fill the financial void. 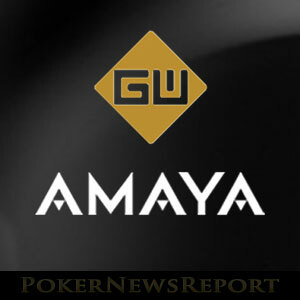 According to a report on CalvinAyre.com, Ricki Lai – the Vice President of Operations for the Goldenway Group – said that Goldenway is in full support of David Baazov and that the company is still working with the former Amaya CEO on the proposed deal. Lai added that Goldenway Capital is prepared to increase our commitment if so required in order to conclude a successful transaction . The position of the other two equity investment firms supposedly involved in the deal – Head and Shoulders Global Investment Fund and Ferdyne Advisory Inc. – is not yet known. However the feedback from Amaya was that the company was aware of the situation regarding KBC Aldini Capital Ltd, that it was reviewing the matter and has not yet entered into a definitive agreement with Baazov. Legal action seems to follow David Baazov wherever he goes. Already charged with the alleged misuse of privileged information prior to the acquisition of PokerStars and Full Tilt Poker in July 2014, Baazov has now been reported to the Securities and Exchange Commission for making a false filing misrepresenting the participation of KBC Aldini Capital Ltd in the takeover bid. Baazov has also been accused of manipulating Amaya´s stock price by a Boston-based investor. The investor allegedly bought shares in the company following the announcement of Baazov´s takeover bid (and after the share price had risen by almost 18%), and then lost money when the shares crashed 6% within half an hour of the KBC Aldini news breaking. A lawsuit is due to be filed next week. The case against Baazov for alleged insider trading is currently adjourned until December 13 and, although the former Amaya CEO insists he is innocent of the charges made against him, the weight of evidence collected by the Securities and Exchange Commission is apparently substantial. If found guilty, Baazov could face a severe financial penalty or even a jail term. The timing of the most recent bid to buy out Amaya´s shareholders would indicate Baazov is confident he will receive no more than a slap on the wrist if he is found guilty. However, a more severe financial penalty, or a jail term, would irreparably damage his proposals to take control of the company – irrespective of the level of support offered to him by his investment partners. Undoubtedly the Baazov Amaya bid narrative is going to continue for some time yet. As ever, you can keep up-to-date with any developments by following PokerNewsReport on Twitter.